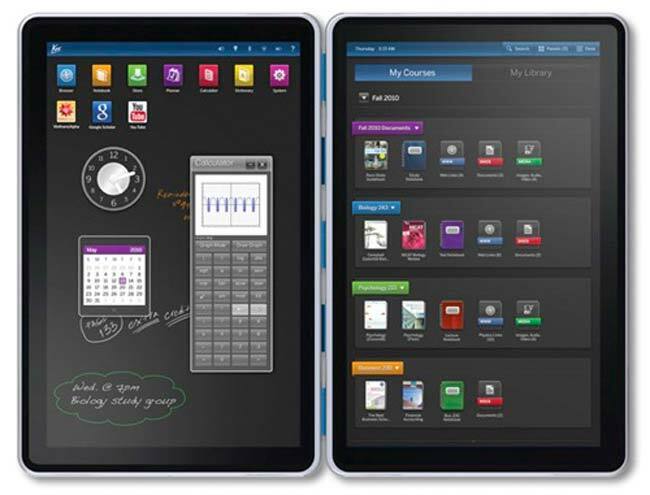 Some of our readers will remember the Kno dual screen tablet that is designed to be used by college students, the company has just announced the pricing and the dual screen version will retail for $899, whilst the single screen version will retail for $599. The Kno Textbook is a tablet platform that is designed to replace text books, and be used by college students, although we think the price may be a little high. The companies CEO doesn’t seem to think the price is too high, as he thinks that college students will see it as a replacement text books. The Dual screen Kno Textbook features dual displays, an NVIDIA Tegra 2 processor, and 16GB of storage, with a Linux based OS.